She Sought Revenge But Discovered Desire.On a quest to avenge her sister's death, Eleanor Watkins never expected to fall for the man following her through pleasure gardens and into ballrooms. But soon nothing can keep her from the arms of the sinfully attractive scoundrel, not even the dangerous secrets she keeps. Strong, compassionate, and utterly irresistible, James is all she desires. But can she trust him enough to let herself succumb to all the pleasures that midnight allows?James Swindler has worked hard to atone for his unsavory past. He is now as at home in London's glittering salons as he is in the roughest streets. But when the inspector is tasked with keeping watch on a mysterious lady suspected of nefarious deeds, he is determined to use his skills at seduction to lure Eleanor into revealing her plans. Instead, he is the one seduced, turning away from everything he holds dear in order to protect her—no matter the cost to his heart. fter the death of her sister, Eleanor Watkins, comes up with a plan for revenge. When her sister goes into London for the season with hopes and dreams of finding a husband and a more secure future for her family, but comes back to them broken in body and spirit. After her death, Eleanor looks through her journal, and after finding the true reason of what truly happened to her in London, she is bent for revenge, against the one man that is truly evil in every respect. But as she follows him around London, she keeps running into a handsome stranger that makes her heart beat faster and her knees weak with his touch. Never knowing who he truly is. James Swindler, is sent on a mission, to follow Eleanor Watkins, after hearing that there is a threat to one of the “Lords ” lives. Knowing that there must be a good reason that they send him on such a mission, he investigates, wanting to earn Eleanor’s trust. What neither one of them expected was to fall for each other, and then when a certain event occurs, they will be both tested in ways they would never have imagined, but will their love be enough for the danger ahead? 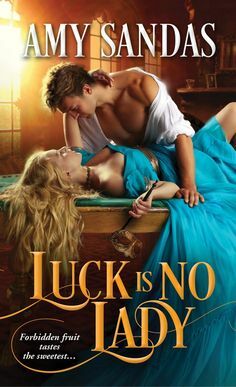 I have always loved reading Lorraine Heath, and have been reading her since her cowboy series (which are great by the way) and I just love her regency romances, and this one was one of my favorites of hers. It was filled with so much mystery and intrigue, it kept me in suspense throughout the whole of the book, and I couldn’t turn the pages fast enough to suit me!! My summary is pretty vague, but I didn’t want to give anything away, which you should find out yourself, I am certain you will be just as pleased yet surprised at the turn of events that occur throughout this story. 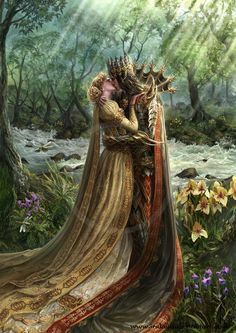 I can’t say too many times, that romances like this I can usually guess what is going to happen, however, this was very different. I applaud Lorraine Heath with just a job WELL DONE!!! It was such a great romance, with the perfect mix of sensuality and excitement to suit you. I am looking forward to reading the rest of the series, especially if they are as good as this one was for me!!! She is the daughter of a British beauty (her mom won second place in a beauty contest sponsored by Max Factor® during which she received a kiss from Caesar Romero--Joker on the original Batman TV series) and a Texan who was stationed at Bovingdon while serving in the air force. Lorraine was born in Watford, Hertfordshire, England, but soon after moved to Texas. Her "dual" nationality has given her a love for all things British and Texan, and she enjoys weaving both heritages through her stories.